Your hair is very important for your physical appearance and self-confidence. But, today all adults experience hair loss problems at some point of time. However, losing hair is usually considered a normal occurrence but if you lose too much of it then it is a condition you need to care. You need to find out why you’re losing hair. The reasons of unusual hair loss are many and may include thyroid disorder, anemia, deficiency of certain vitamins and minerals, depression as well as certain medications. If the hair loss is due to certain medications it would be stopped once the medications are adjusted or stopped. Someone may also experience hair loss due to weak hair follicles. Anyway, you can always try home remedies to strengthen your hair and style them as you wish. Let us find out why do pumpkin seed oil promote hair growth? It is known that nutritional deficiency is linked with weaker hair health. 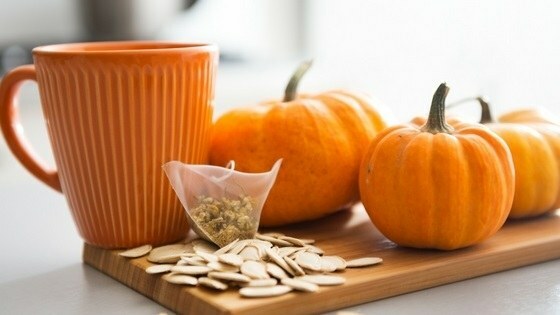 But, the varieties of nutrients of pumpkin seed oil add up and make it a wonderful remedy for hair growth. To name a few, pumpkin seed oil is a good source of phytosterols, tocopherols, fatty acids like oleic, linolenic and linoleic acids, beta-carotene, lutein, zinc, etc. All these nutrients help maintain good health of your body and hair as well. Zinc is an essential micronutrient for our body. Its deficiency is also related to hair loss. Pumpkin seed oil has also the good content of polyunsaturated fatty acids which have many health benefits along with protecting and improving your hair health. According to the Department of Human Nutrition Physiology, West Pomeranian University of Technology in Szczecin, Poland the proper balance of PUF or polyunsaturated fatty acids is a factor in your hair health. All above points scientifically lead to a conclusion that the effect of pumpkin seed oil on hair health is appreciating. It could be a successful alternative keeping your hair strong and shining. How to use the pumpkin seed oil for hair growth. Using pumpkin seed oil for your better hair health is easy and here are 2 ways you can use this amazing oil to work for your hair. 1. When you go to bed: Just get 2-3 teaspoons of pumpkin seed oil and rub on your hair slowly. Let the oil settle down on your scalp. With this tip, you’re left with two choices: The first one is, wash your hair after 30 minutes of applying oil or let your scalp soak the oil while you sleep and give you better hair health. 2. Use of pumpkin seed oil with onion juice: Mix 2-3 teaspoons of onion juice with 3-4 teaspoons of pumpkin seed oil. Apply the mixture on your scalp 2-3 times with a time gap of 30 minutes. Wash after that. You can always be creative and find other ways using this oil for your hair growth. Have you ever used pumpkin seed oil for your hair growth?